Even though his daycare isn’t far from my office, I occasionally check in via email with Maryellen who sends reassuring updates about Henry. 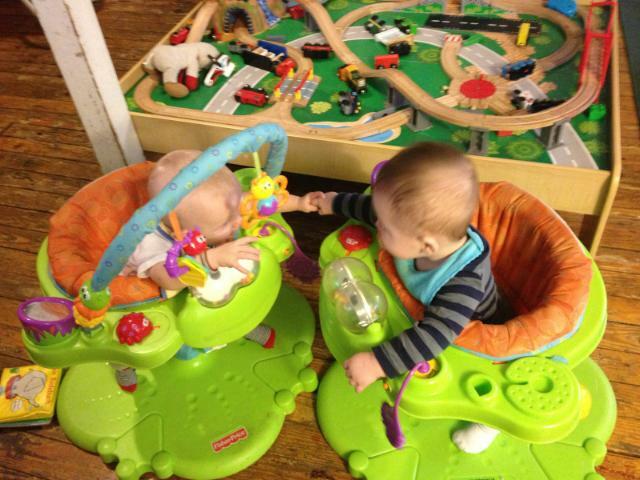 Here’s an image she sent today of Henry and Atticus holding hands. This entry was tagged daycare, Maryellen. Bookmark the permalink. I love seeing these little babies together. You can tell that Henry is a good/caring little friend. Makes me happy to see his little social life.